Last time I posted about Aaron Paul (it’s often, I know), a reader called Rita wrote in to tell me that she loved BB but has given up on Aaron because of the social media fontrum. Rita, I hear you. I feel you. The (now deleted) “Stardust, come love me” video on Instagram was painful. He is effusive with his praise and adoration of his wife, Lauren. It is often too much. Yesterday, I was watching him on Ellen, and his (obviously prepared) anecdote about a safari included Lauren. The camera cut to her in the audience so Ellen could ask her a question and Lauren didn’t seem ready; her response was like watching a ‘rando on the street’ segment on the news. That didn’t stop the fontrum, though. When the camera cut to her, he said, “Look at you you’re so pretty.” Groooooaaaaaaannnnnnnn. And to make me like her even more, Stardust didn’t rush to social media to talk about being on Ellen. Her last post (as of this writing) was about his new show, The Path. Speaking of, the first reviews are trickling in. Some are outstanding, (The Hollywood Reporter called it excellent, riveting and the cast exceptional) but Variety said the characters were “undercooked.” We don’t get Hulu in Canada but a network has picked it up so I will be watching it the old fashion way, week by week, starting March 31. Who’s with me? 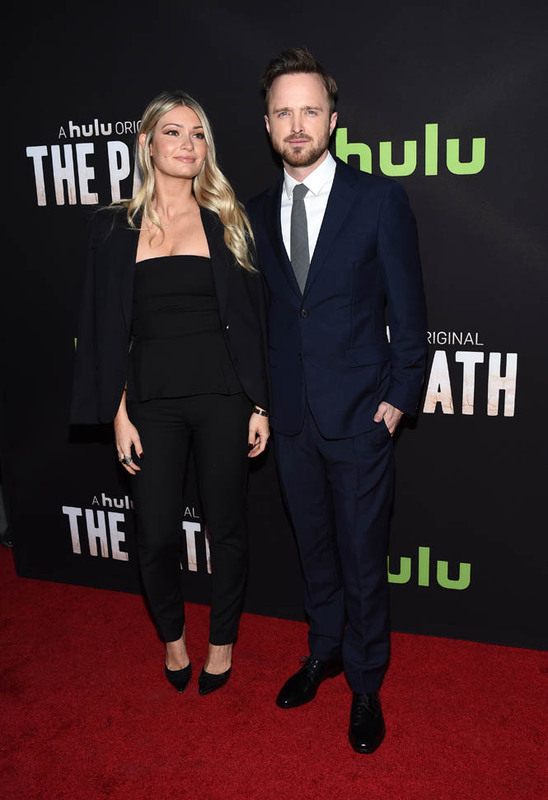 Attached - Aaron and Lauren at the premiere of The Path earlier this week in Los Angeles.